Until the creation of some really stylish stain-colored clothing, wine-lovers everywhere will continue their quest for that Grail-like wonder, the stain-remover that really works. I’m happy to report, Thirsty Reader, that I have found one. (Truth be told, it found me. The stuff just turned up in the mail one day; I didn’t even have to ask for it.) 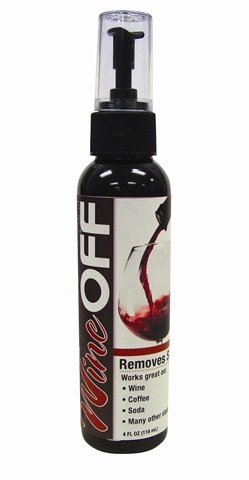 It’s a product called WineOff, and its producers, Bio-Pro Research of Hickory, NC, guarantee that it will not only remove wine stains, but supposedly remove them permanently. That will be of particular interest to those familiar with the phenomenon of a stain’s somehow returning, like Charlie Rangel, even after removal. I had been thinking of giving the stuff a real, scientific trial, with a ‘control’ and maybe even some sugar pills, but that began to seem like work, so I decided to let nature take its course, which it did as soon as it could. A week, say. 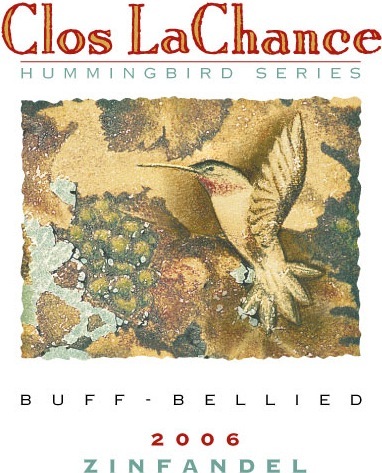 I’d loaded up on some of Clos LaChance’s Zinfandel, which is going for the fire-sale price of five bucks a bottle (maybe there’s some left: try www.clos.com first chance you get) and in a greenspanly fit of irrational exuberance spilt some on a sofa freshly reupholstered in what had once been a soothing pale green. Fear transported me, as it were, to my dainty home office, where I actually managed to find the bottle (things can get lost there in seconds). Soon I was spraying madly and praying likewise. It worked! Not right away: Most stain-removers, good or not, are a little slow, and WineOff uses enzymes and bacteria that need time to ‘eat’ stains. And several applications, too. Never mind: It worked perfectly and it also worked again. A week later I closlachanced a dress shirt, upon which the unleashed bacteria and enzymes worked similar magic. That was just for lagniappe, however. The important thing was the sofa, the staining of which risked a potentially fatal tsunami of wifely wrath. The company also makes a sister product, UrineOff (why isn’t it called PissOff? ), which costs the same as WineOff: two 4-oz. spray bottles for $12.90 (shipping included). For the sloppy-at-Starbucks crowd there’s CoffeeOff, which is pricier, and shipping is extra. All are available only from (sorry) urineoff.com. Some caveats: My ‘tests’ were on cotton fabric only; who knows what’ll happen with, say, bombazine or polyvinyl-putrate? Also, you have to flood the stain often and blot every time. Put paper towels or similar beneath the stain as you blot. There are other stain-removers on the market and plenty of home remedies, too. Maybe I’ll try them sometime. Something tells me I’ll have to.